Fermented foods have long been celebrated for their ability to improve gut health and digestion, but did you know that new evidence suggests that their healing properties go even further? 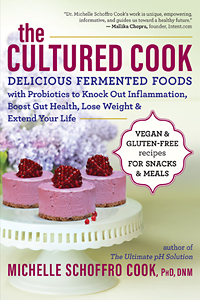 In her new book, The Cultured Cook: Delicious Fermented Foods with Probiotics to Knock Out Inflammation, Boost Gut Health, Lose Weight & Extend Your Life, certified herbalist and board-certified doctor of natural medicine Michelle Schoffro Cook highlights not only the deeper benefits of eating fermented foods but the ease with which you can pickle and ferment at home in your own kitchen for very little money. In this excerpt from the book, learn how fermented foods can help alleviate anxiety, as well as ten other benefits that can make your body a happier place to live. Enjoy. How does one regain confidence and optimism about love after a breakup? 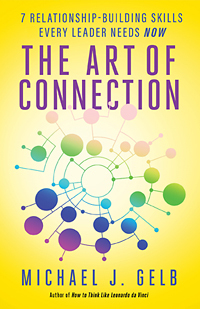 After her own relationship ended, author and counselor Rebekah Freedom McClaskey developed and practiced a series of small, step-by-step actions that ultimately helped her heal her heart and live in harmony with her destiny. 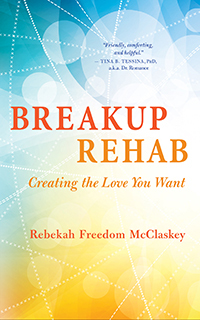 In Breakup Rehab: Creating the Love You Want, Rebekah meets readers in their states of grief or resignation and walks them through twelve steps to forgiveness and self-responsibility, self-compassion and self-awareness, power and purpose. We hope you’ll enjoy this excerpt from the book. These days it can be easy to feel like it’s impossible to make a difference in the world at an individual level. 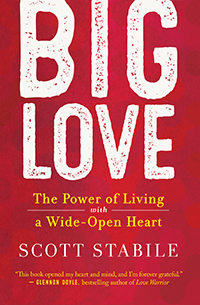 But in this inspiring conversation, Scott Stabile, author of Big Love: The Power of Living with a Wide-Open Heart, promises that nothing stands to transform us, our relationships, and the world more than a commitment to living our lives from love. He stresses the importance of standing up for what we believe in and offers an empowering perspective for reframing our relationship to fear as we put our love into action in the world. Author and Facebook sensation Scott Stabile’s parents were murdered when he was fourteen. Nine years later, his brother died of a heroin overdose. Soon after that, Scott joined a cult that dominated his life for thirteen years. Through it all, he became evermore committed to living his life from love. In each chapter of his new book, Big Love: The Power of Living with a Wide-Open Heart, Scott shares a personal experience that pulled him from his center and the ways in which he brought himself back to peace, and to love. While some of his experiences are extraordinary, like extricating himself from the cult mentioned above, most of the stories tell of everyday challenges we can all relate to, like the weight of shame, the search for happiness, and the struggle to be authentic.